If you are blind or partially sighted, we would be delighted to offer you a touch tour before the performance. Please call our box office to arrange this when booking your ticket. If you need to be accompanied by a companion or assistant we will happily provide them with a complimentary ticket – please let us know when placing your order. As a small 75-seater venue above a pub, we are not accessible for wheelchair users but we are working to assess and improve our accessibility wherever possible. There are 20 steps from the street to the foyer and 7 steps from the foyer into the auditorium. If you have concerns about accessing the theatre, please call our box office and we will be happy to discuss options with you. Here's a short video showing you how to get to us from the closest tube station, Notting Hill Gate, and a quick look at our foyer. 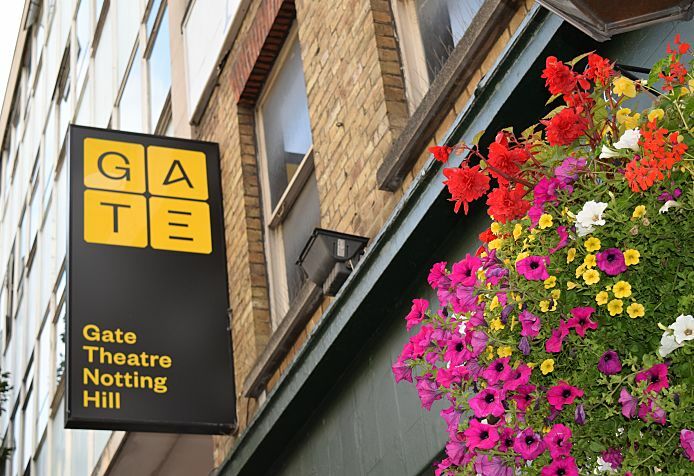 If you have any specific requirements or need additional information before attending a Gate performance, please do contact our Theatre Manager, Hannah at hannah@gatetheatre.co.uk or by Telephone/Text Relay 020 7229 5387 and we will accomodate you where possible. If you'd like to know whats on at the Gate, including the dates of our accessible performances and to book tickets, click here.